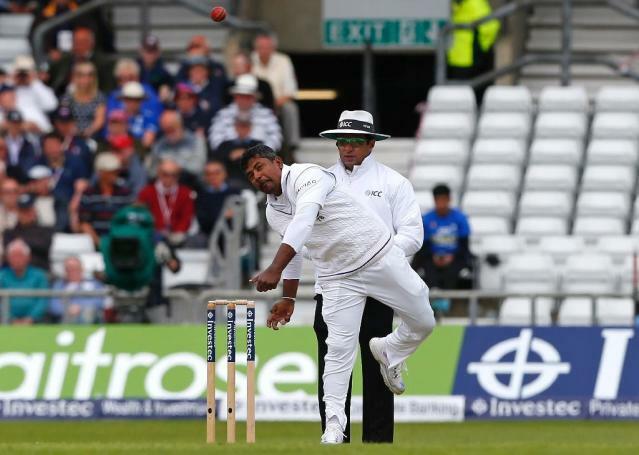 Chittagong (Bangladesh) (AFP) - Sri Lanka will bank on the guile of record-breaking left-arm spinner Rangana Herath as they try to extend their recent winning streak to the two-Test series against Bangladesh, captain Dinesh Chandimal said Tuesday. After a dismal last few months, Sri Lanka appeared to have turned the tide by winning the recent tri-nation tournament with an emphatic 79-run victory against Bangladesh in the final one-dayer. The win has put the spring back in the steps of Chandimal's men ahead of the first Test beginning in the port city of Chittagong Wednesday. The two teams drew their Test series 1-1 in Sri Lanka last year. The hosts won the first Test in Galle by a huge margin before Bangladesh levelled the series with a win in their 100th Test in Colombo. "This will be a great series for both teams," Chandimal told reporters, citing the experience of Rangana Herath and Dilruwan Perera. Chandimal especially hailed the 39-year-old Herath, who is the most successful left-arm spinner in Test history with 406 wickets after passing Daniel Vettori's tally of 362 Test wickets last year. "He is a wily old fox. He can do what he wants to do. He is a big asset in our team," he said. Bangladesh were expected to offer Sri Lanka a turning wicket of the kind that helped them win one Test each against England and Australia in their last Test encounters at home. "I think it will have a bit of spin on this pitch. Our batsmen have to take the responsibility, as also our bowlers," said stand-in Bangladeshi captain Mahmudullah Riyad. "We have to do the basics right, pick up wickets early if we bowl first or put together partnerships so that we can get a big score," he said. Mahmudullah took over the captaincy of the Test team after newly-appointed captain Shakib Al Hasan was ruled out of the first Test with a finger injury. "It is a big loss," Mahmudullah said of Shakib, who is also the hosts' most experienced spinner. "But you have to go ahead accepting all the challenges. I think if we can execute our decisions positively, we will have a good game."